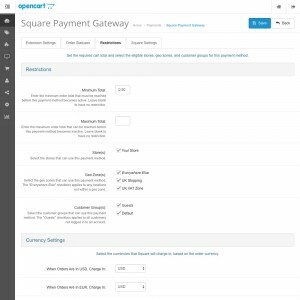 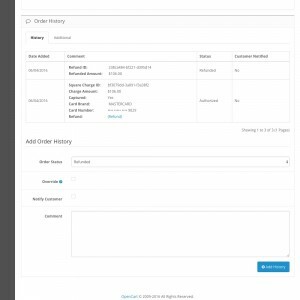 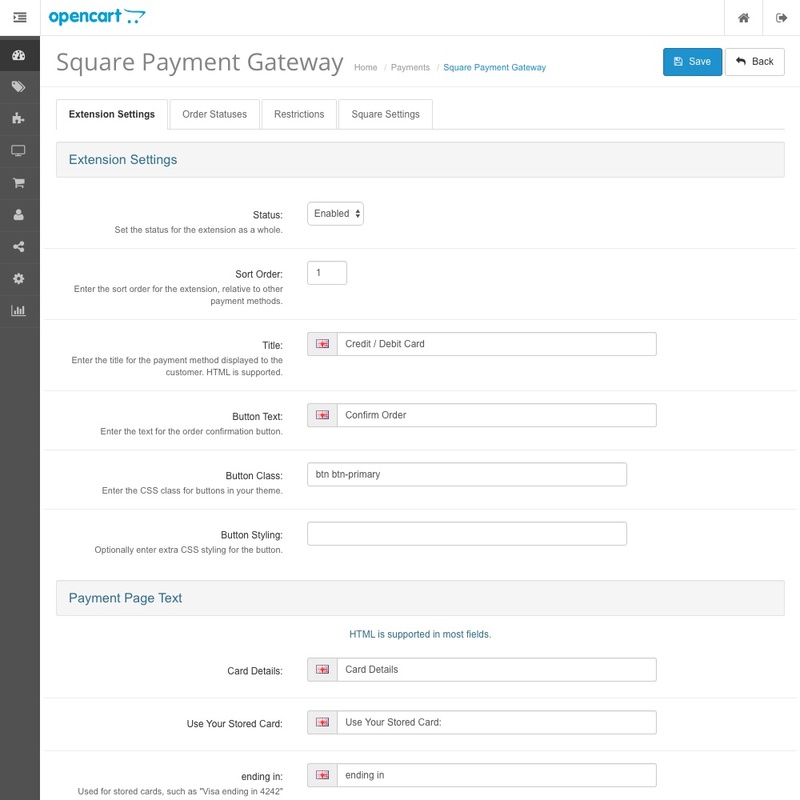 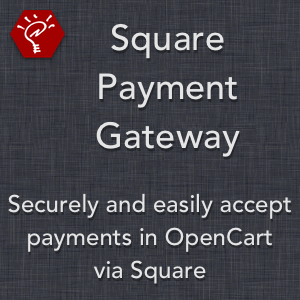 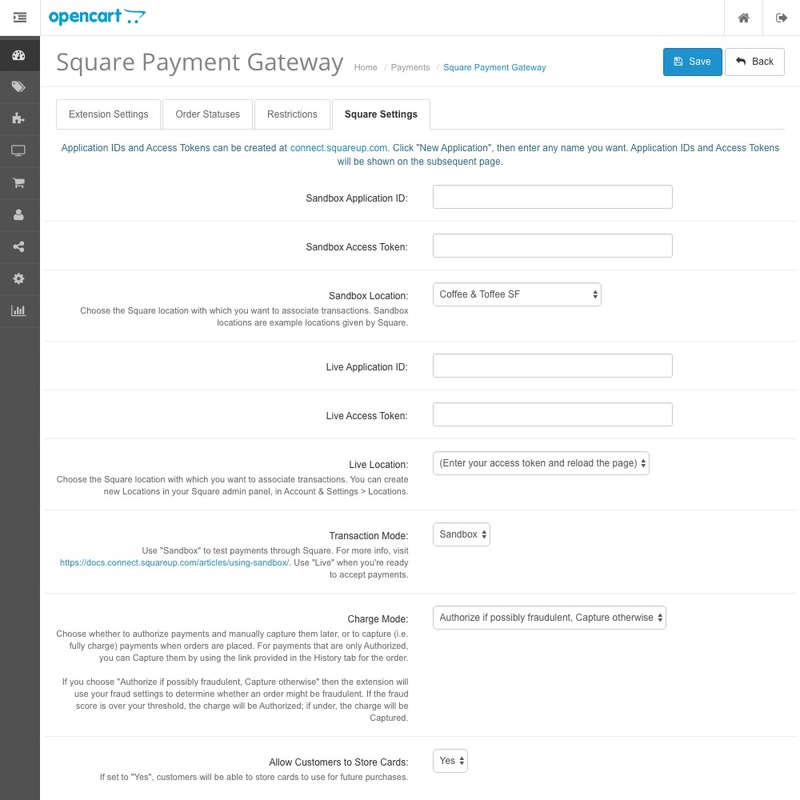 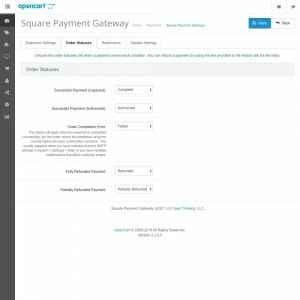 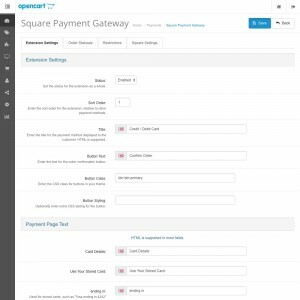 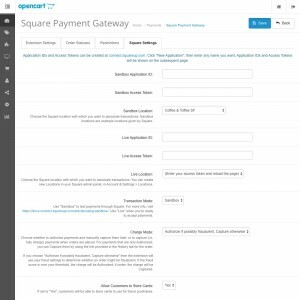 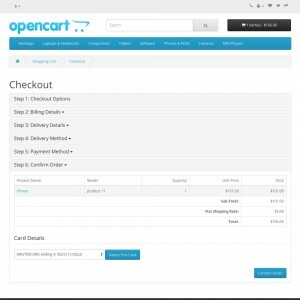 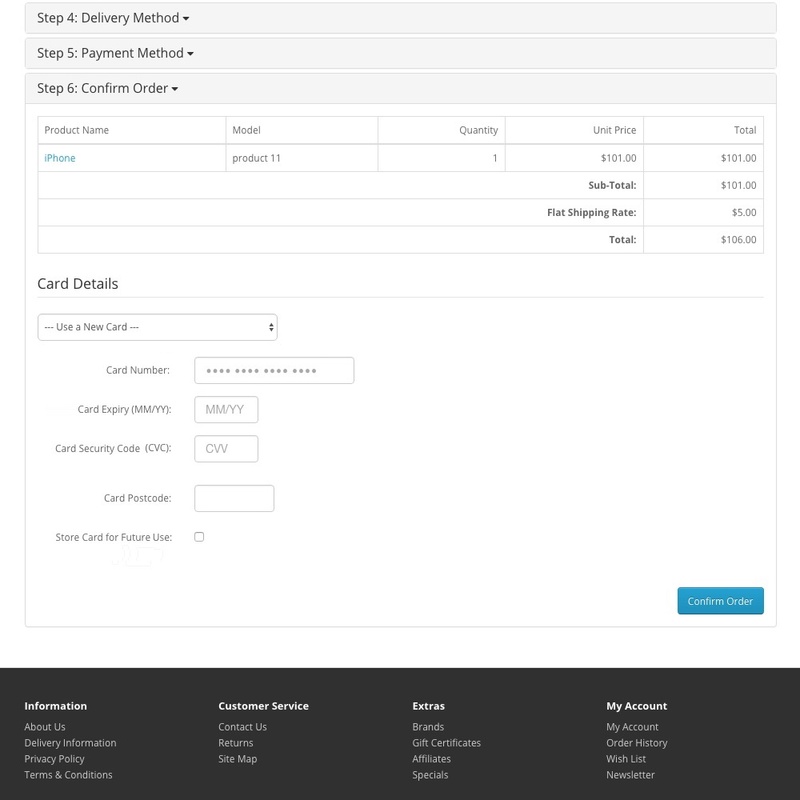 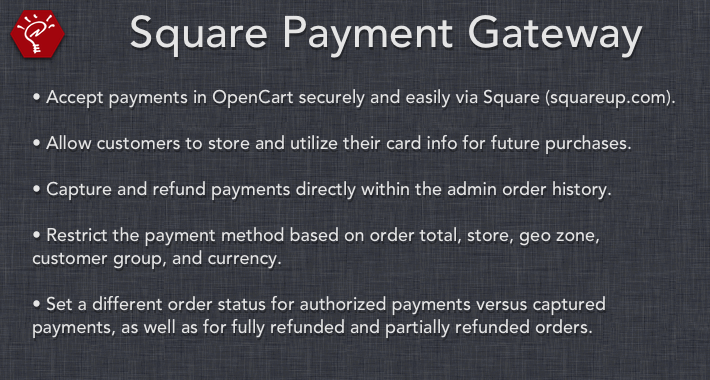 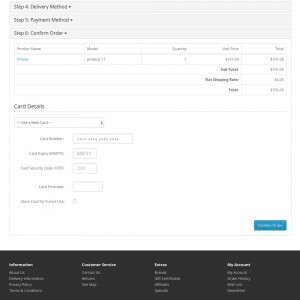 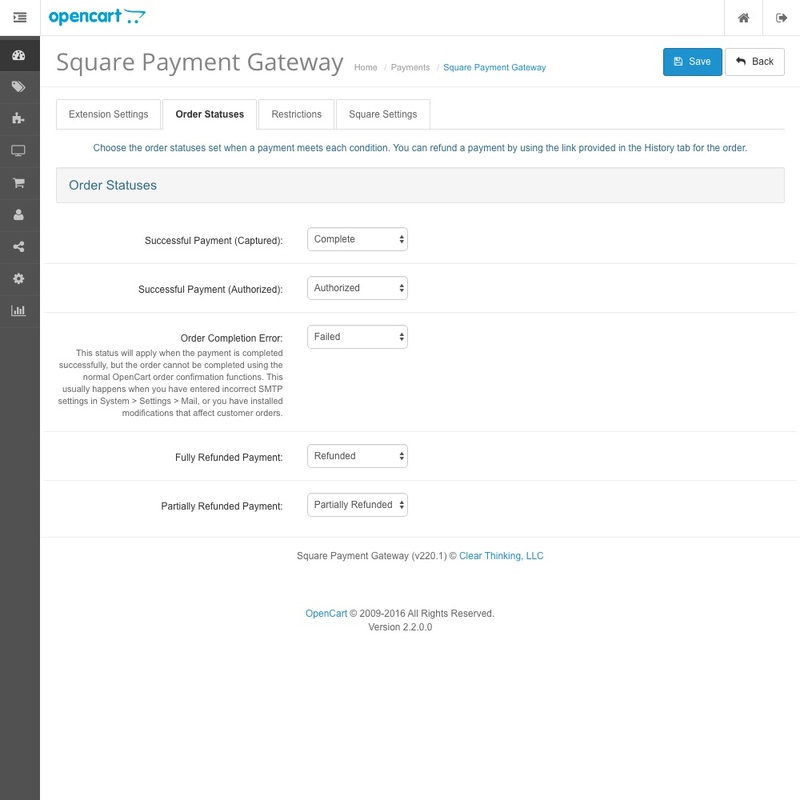 - Fixed: error in OpenCart 2.3 when the Charge Mode is set to "Authorize if possibly fraudulent, Capture otherwise"
- NOTE: Due to a change in function names, orders placed before this version will not be able to be refunded in the order history area. 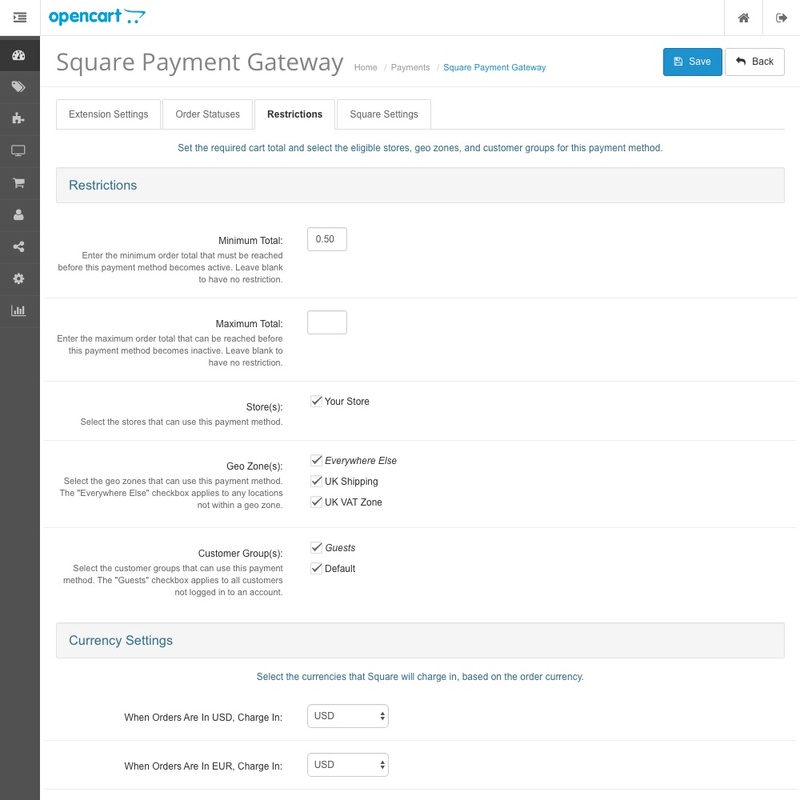 If you need to do these actions, you can so in your Square admin panel. 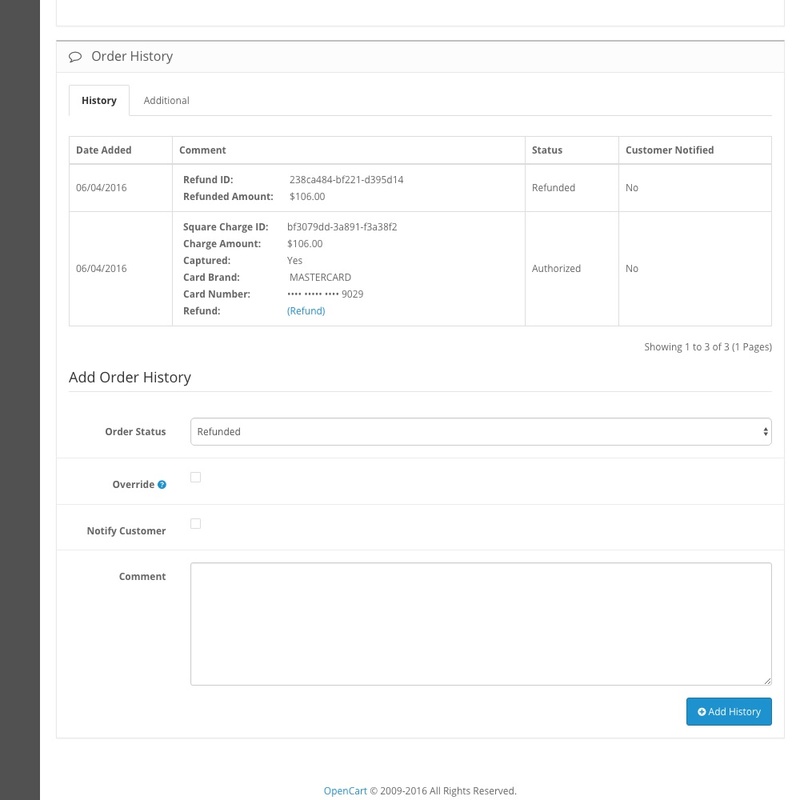 - Fixed: refund info wouldn't be recorded to the order history if the "Refunded" order status was set to "--- Ignore ---"
- Updated: the transaction API call now includes the "buyer_email_address"